Vanagon Vagabond : Amazing Grace - Who was William Wilberforce? 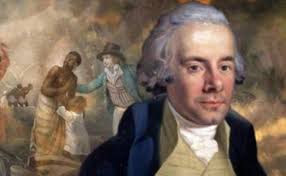 In later years, Wilberforce supported the campaign for the complete abolition of slavery, and continued his involvement after 1826, when he resigned from Parliament because of his failing health. That campaign led to the Slavery Abolition Act 1833, which abolished slavery in most of the British Empire. Another of my favorite films, Amazing Grace, is an account of his life. Here is the trailer. Wilberforce was a workhorse for a great cause against great odds.